Want to have a fulfilling career that comes with great earning potential and give you the freedom to work flexible hours with weekends and holidays off? Prepare for the hearing aid specialist licensing exam here in Utah to take your first step toward an exciting career. Hearing loss not only affects your physical health, but it deprives you of different sounds present in your vicinity. Hearing loss often has a negative impact on all aspects of a person’s life. Become a licensed hearing aid specialist and help people hear every sound around them. Millicent Simmonds is a deaf American actress born in Utah. She starred in the 2017 drama film Wonderstruck and the 2018 horror film A Quiet Place.At the age of 12 months, she lost her hearing due to medication overdose. She and her family communicate via ASL, which is her first language. Looking to Start a Career as a Hearing Aid Specialist? The Hearing Aid Academy provides the most complete and advanced online education program specifically designed for students looking forward to passing the hearing aid specialist licensing exam here in Utah. The Hearing Aid Academy arms its students with all the necessary tools required to successfully pass the written and practical International Licensing Exam (ILE) administered by the International Hearing Society (IHS). America has nearly 48 million people suffering from some level of hearing loss. Therefore, a career as a hearing aid specialist gives you a chance to have a long-term stable career, excellent income potential and enjoy a highly respected career in the medical profession. According to the Labor statistics, a hearing aid specialist can earn up to $58,000 per year. Some companies are also willing to pay a significant more salary as the demand for hearing aid specialist is high. The Hearing Aid Academy prepares its students to pass the hearing aid specialist licensing exam here in Utah and start practicing as a licensed professional in less than 12 weeks. 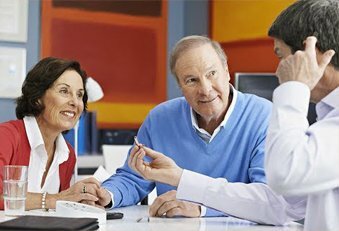 The Hearing Aid Academy has qualified and knowledgeable instructors on board with more than three decades of experience. We offer a direct path and online training to help students make a successful career in the hearing health industry. The online curriculum is divided into 31 modules spread over 100 hours of training. Upon registration, you will get access to the first module. To unlock the next module, you need to work through the previous module and clear exam testing your knowledge. This self-paced program can be completed within 3 to 6 months depending on your speed. So, study anywhere anytime according to your convenience with a working internet connection and a laptop. The online Hearing Aid Academy course is specifically designed to help students pass the hearing aid specialist licensing exam here in Utah. Here, you receive a specialized education without all the unnecessary subjects. After the completion of the course, you can apply for the written and practical ILE and pass it to start working as a licensed hearing aid specialist. The hearing health industry is growing at a fast pace and provide plenty of job opportunities. Thus, considering the income potential, a chance to work for yourself and low tuition fee, the Academy offers a great value-for-money course. Moreover, the academy is proud to offer financial assistance to students who qualify for the program. If you want to pass the hearing aid specialist licensing exam here in Utah and are looking forward to taking admission in an accredited university or college, you need to invest thousands of dollars along with two years of your life. Do you have so much time at your hand? If it is not possible to leave your job or important family commitments, your dream to acquire higher education may seem distant. But not anymore as the Hearing Aid Academy’s 100% online self-paced program can be completed within 3 to 6 months depending on your speed. This program offers you the advantage to study while continuing your full daytime job, attending to family commitments and without investing two years of your life. Many top hearing aid retailers are opening new centers around the nation, thus are looking forward to hiring licensed hearing aid specialist to fill in the generated job vacancies. Do you know, for every person who has passed the hearing aid specialist licensing exam here in Utah, there are five job opportunities waiting for him? Long-term stability and high demand for hearing aid specialists are attracting people’s attention. Do you know 1 in every 3 people above the age of 65 years needs hearing aid assistance? This is why retail centers such as CVS Pharmacy, Costco, Miracle-Ear and others are expanding their services to offer better services to the growing number of potential buyers. Pass the hearing aid specialist licensing exam here in Utah and start working as a licensed professional in about 12 weeks. Hearing Aid Academy has prepared students for the hearing aid specialist licensing exam here in Utah. The hearing health industry is a growing field with a lot of potentials. The academy has developed a unique training program to help students learn everything they need to know to become a successful and licensed hearing aid instrument specialist. The payments for this online course start as low as $199. Also, this is the most complete, advanced and comprehensive program available online. You can learn at your convenience from animated audio and video clips, video lectures, voice lectures, text assignments and web sessions with experienced instructors. For Queries, email us at admissions@hearingaidacademy.com. Or get in touch with an admission representative at (903) 487-0097.